Do you smoke, drink or lead a sedentary life? Do you have high blood pressure, sugar or cholesterol levels? Are you under stress due to personal or professional problems? Do you think you are suffering from Cardiovascular-Disease (CVD)? These questions are largely applicable to most people but are extremely crucial when it comes to women. Why? The answer lies in the exponential increase in the incidence of CVDs among women. The death rate due to cardiac disease among women has increased from 30 per cent in 1997 to 54 per cent in 2009 and the myth that heart disease is a ‘man’s disease’ has been debunked. Almost half of the 17.3 million annual CVD’s deaths occur in women, though the risk is often underestimated. If you ask women about the greatest health problem they face, the majority would say breast cancer. But it is CVD, which poses the greatest health problem for women today. It claims the lives of more women than all forms of cancer combined. Children are also at risk since they have little control over their environment and their heart-healthy choices can be limited. The other reason is Congenital heart defect (CHD). This is caused by improper development of the heart during foetal development. Mothers who do not adhere to the special diet necessary to manage the disease during pregnancy have a higher risk of having a child with congenital heart disease. Women with insulin-dependent diabetes may have a higher risk of having a child with heart defects. The most common cause of CVD is Atherosclerosis (hardening/clogging of arteries caused by the build-up of cholesterol and fatty deposits (called plaque) on the inner walls of the arteries. This restricts blood flow to the heart. 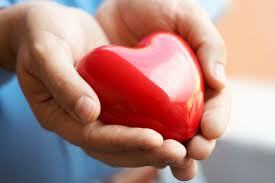 Without adequate blood, the heart is starved of oxygen and the vital nutrients it needs to work properly. When one or more of the coronary arteries becomes blocked, a heart attack (injury to the heart muscle) can occur. The most important challenge is to identify the symptoms in women because these are often different (see box). Sixty four per cent of women who died suddenly because of coronary heart disease had no previous symptoms. The symptoms may occur with or without chest pain and may come and go. Race: Risk of CVDs varies with race. For example, Afro-Americans have more severe high blood pressure than Caucasians and are at higher risk of CVDs. This is partly due to higher rates of obesity and diabetes in these populations. Remember, CVD is largely preventable. You can ensure your heart stays healthy by following a healthy lifestyle. Your heart is in your hands.